What pest control company forgets the lawn? Unfortunately, plenty! 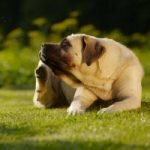 The fleas and ticks that plague your pets can set up shop in your yard and attack all of you whenever you leave the house. Whether it’s by hitching a ride on your shoes or on your kids’ skin, they will eventually get indoors. While ticks aren’t such a problem to remove, once fleas get inside, you’ll have more trouble than you bargained for. Declutter your yard, say goodbye to fleas and ticks. The easiest way to get rid of bugs, and keep them gone, is by eliminating food and shelter. For fleas and ticks, wildlife is often the source of food. Unfortunately, keeping squirrels, bunnies and bats out of your yard can prove difficult. Focus on the shelter instead. Garbage, grass clippings, fallen branches and other debris can give fleas and ticks all the safe harbor they need. Also, consider making the modifications needed to allow more sun onto your property. Keep your grass healthy – bugs hate that. 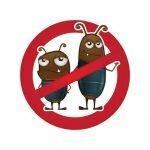 Lawns that are too high, overwatered or suffering from fungal infections or weedy takeovers are prime real estate for pests. 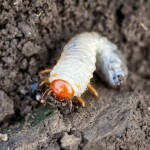 Fleas love moisture and shade, so removing those elements from your yard will help tremendously. Remember, these pests can live for months in your grass just waiting for a blood supply to walk by. Make it as uncomfortable to wait around on your property as possible, and they’ll leave sooner than later. Talk with lawn care specialists about pest control. Like it or not, the pest control products available to consumers are often too weak to make real progress. Consider what’s available for ticks and fleas. Outdoor smoke bombs that blow every which way and repellant candles aren’t going to bring you long-term relief. If you have a serious flea and tick problem, you need heavy-duty applications capable of wiping them out. Don’t waste money on temporary fixes. Chances are a lasting solution will be much more affordable and less toxic than you think. Get the vet involved, send fleas packing. A yard flea problem can quickly become a home flea problem, but the opposite is true too. If you’ve tried repeatedly to keep fleas off your property, your pet might be the source. Talk with your vet about the products available for flea control and prevention capable of lasting long enough for yard treatments to be effective too. Think Green can help by providing the applications needed to eradicate the parasites living in your lawn at the same time. If you’ve been wondering when to call in a pest control company to treat your lawn for fleas and ticks, the time is now! Get on top of this irritating problem today. Call our professional team at Think Green at (678) 648-2556 to schedule service with the top pest control company today.